Early reviews from preschool children of two new children’s books by Mount Horeb’s Adam Groener suggest the books are hilarious. Kids roar with laughter in videos Groener shares of himself reading “A Book Never Read Before” and “Imaginary Pictures” to classes of young children. But readers of any age will likely find these books quite funny. Written under the pen name A.G. Grey, “A Book Never Read Before” came out in March. Groener said he’s taking pre-orders for “Imaginary Pictures” on his website, booksneverread.com, for copies that should be available by mid 2019. Groener says the first book pays homage to comedic actor B.J. Novak’s 2014 “The Book With No Pictures.” It also has the same kind of page-turning suspense that holds up to repeated readings as the classic “The Monster at the End of This Book,” narrated by Grover of Sesame Street. Choosing to self publish, Groener is covering the cost of editing and designing “Imaginary Pictures” as the funds become available. An early draft reveals the book to be a series of endearing and colorful scrawls by Groener’s then 4-year-old son that are described just as colorfully by a character named Milo. You can totally see the “purple monkey on roller skates wearing red mittens and a black cowboy hat waving goodbye as he skates away through a field of snarfblats” as Milo helpfully interprets one of the illustrations. Groener says his son inspired both books, which in turn are meant to inspire other children to persist and be imaginative with whatever they do. Go to booksneverread.com for more information. The Wisconsin band BoDeans earned national notoriety with Top 40 hits in the 1980s and ’90s. But the band performing at the Barrymore Theatre on Dec. 27 is not the one Waukesha South High School classmates Kurt Neumann and Sam Llanas co-founded in 1980. While the blending of their disparate vocals defined the BoDeans’ sound, Neumann and Llanas are bandmates and friends no longer. Llanas left BoDeans in 2011 and still claims to be owed songwriting royalties. In June, the Milwaukee Journal Sentinel reported on allegations leveled by Neumann’s family of sexual misconduct by Llanas. Llanas has denied the accusations and no legal action has been taken. After the allegations surfaced, a planned solo performance by Llanas at Summerfest this year was canceled. BoDeans continues to tour with Neumann as its frontman, including during a stop at the Barrymore this month. Meanwhile, the 755-seat Barrymore — an Atwood Avenue staple since 1929 — replaced all of its 50-year-old seats this past summer. The floors on the main level and balcony also were replaced during the $250,000 renovation project. 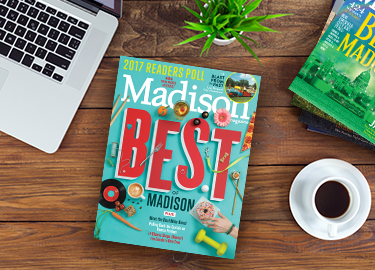 *Editor's Note: Mixed Media is a monthly series featuring a variety of arts and culture happenings in the Madison area.